You have to be able to find the RV if you are going to repossess it. Our skip tracing department has the experience and skill needed to find even the toughest skips. We are so confident in our skip tracing department that we will work your repossession assignment on a contingent basis. Our guarantee is that if we do not repossess your RV you owe us nothing! Click here for information on our RV skip tracing charges. RV-Repo will execute repossession orders from a private party or an individual. Most repossessors will not accept private party repossession orders. RV Repo has the proper insurance and has repossession agents with the proper repossessors license to handle private party repossessions. Click here to find out more about our private party repossession services. Our locksmiths can unlock and re-key all locks on your RV or luxury motor coach. An average RV has a dozen locks once you count all of the storage compartments, doors and ignition. We will completely re-key your recreational vehicle from top to bottom. We can even disable and reprogram alarm systems on any recreational vehicle or luxury motor coach. Click here to find out more about our RV locksmith services. It has been our experience that when a debtor is not paying for a RV, they are not taking care of the normal RV maintenance. This includes regular and thorough RV cleanings. A good RV detailing can help you realize thousands more dollars more at auction or sale of your motor home. 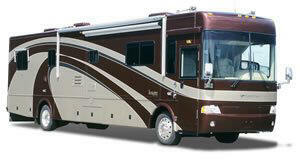 RV Repo offers complete RV and luxury motor coach detailing services. Click here to find out more about our RV detailing services. When it comes time to sell your recreational vehicle or luxury motor coach you want a seller that is going to get you top dollar for your RV. We can accept quality bids for you from a host of RV dealerships, private individuals and companies looking to purchase your recreational vehicle or luxury motor coach. Click here to find out more about our RV remarketing services. RV Repo also offers recreational vehicle and luxury motor coach transportation services. Standard transportation charges start at $1.00 per mile. Please e-mail us for a quote to transport your recreational vehicle or luxury motor coach. Our vehicle transport department has the experience and skill to transport even the largest luxury motor coaches on the road today. Click here to find out more about our RV transportation services.